Pretty aqua blue and pink dress still in very good condition. Blue velvet bodice with sequinned sleeves. 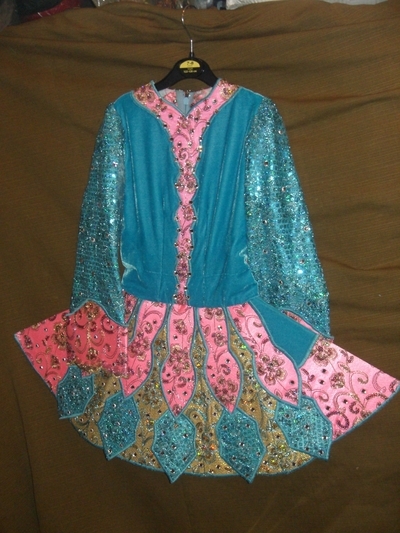 Pink material is embroidered with flowers and also used for the sash. The same material is used in Gold on the skirt. Perfect first dress.